New to GTech vacuum cleaners? 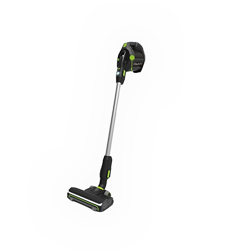 I’ve reviewed every one of their products on this site so it would be rude not to include their latest one, the GTech Pro K9 bagged vacuum cleaner. That’s right, the standard model doesn’t come with the power hose as standard. And it’s kind of necessary. In case you missed it, I reviewed the GTech Pro standard model some months ago when it was first released. 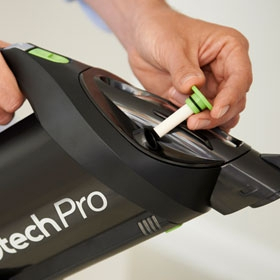 The Pro and Pro K9 are the first bagged vacuum cleaners from GTech. All their other very popular vacuums are bagless, such as the AirRam Mk2, Power Floor and Multi K9. Note: The GTech Pro is still cordless – they only make cordless electric products. The original Pro did not come with a flexible hose, which was kind of annoying because you couldn’t get into those nooks and crannies easily. This means you can now reach further and still use the powered brush heads. Kind of neat and a big upgraded vs the original Pro model. The flexible hose is 1.2 metres in length, which allows for greater versatility, especially with the extension pole attached. The original bags were triple layered to prevent dust spill and ensure hygiene, which is ideal for allergy sufferers. With the K9 version they have gone one-step further and added carbon enriched triple layered bags. Clever marketing? Perhaps. I’m not totally sure of the science behind it if I’m honest. The pitch is that they help to trap pet odours from escaping, which can only be a good thing. One downside…The carbon enriched bags are more expensive than the original ones. £12.99 for 10 instead of £9.99 for 10. You can purchase the GTech Pro original bags here and the K9 carbon enriched bags here. Note 2: You get 5 bags with the new K9 model and only 2 with the original GTech Pro. The original Pro does not have the ability to use scented cartridges, whereas the K9 model does. This is the same for every one of the K9 models in the GTech range of vacuums. They all have scented cartridges because they are pitched at pet owners. Scented cartridges are used to help improve the smell in your home when hoovering up after your pets. 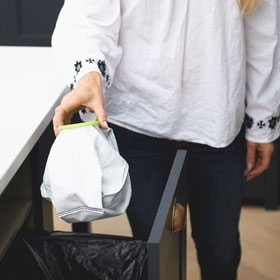 If you’re after ways to keep your home smelling fresh, I can recommend reading this post too. Note: You get 6 cartridges in the GTech Pro K9 vacuum as standard and they cost £9.95 to replace, which you can purchase here. As I mentioned in the beginning of the post, the K9 version is the same price as the standard one when you add the flexible power hose. It’s kind of a no-brainer. If you want the power hose, definitely purchase the K9 version. Your first question might be: “how much extra does it cost?” To which I would reply, £50. In the grand scheme of things, that’s not much. I’d say the biggest reason to choose the K9 version is the powered flexible hose because it is such a cool feature. You get much more range and flexibility while still being able to use the powered attachments. Ideal for the stairs, getting into corners and around pieces of furniture. It’s totally up to you to decide what would work best for you though. What is the GTech K9 Range? For every standard GTech vacuum cleaner model, there is a K9 model too. The K9 version being an upgraded version specifically designed for use in homes with pets. K9 meaning dog. Most of the vacuums have upgrades to their parts to make them stronger and more able to deal with stuck in pet hair and trodden in dirt. If you have pets and are fed-up of vacuums not being good enough to take on the job, it’s definitely worth looking around for the best pet vacuums you can find reviews on. With GTech, they do the “K9 Range” but to be honest the power of the latest Shark cordless vacuums will probably do a better job. Some come with additional cleaning accessories, too. It all depends on the model. All of them come with scented cartridges. The GTech Pro K9 comes with the powered flexible hose, which is a desirable feature. There are a few different options available to you, but ultimately it depends on your requirements for a vacuum how you will use it the most. This vacuum is a cordless electric machine, both hand-held and upright. 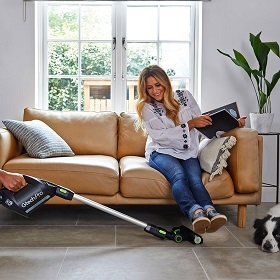 That means it’s a best of both worlds – portable, lightweight and ideal for small jobs and the car – but can also be used to vacuum the whole house. It does most things well, but not exceptionally well. 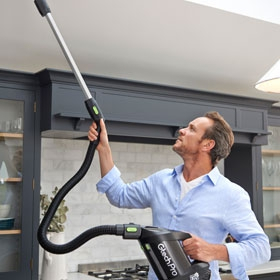 If you have a larger home, with pets, and want a more powerful unit and aren’t worried about having cordless then the Shark AX range of vacuums would be a good option to look at. 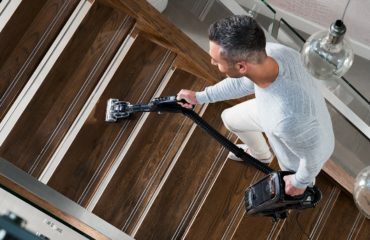 If you’re set on cordless for the ease of use and convenience, and don’t need that extra power, you could look at the GTech Power Floor which is bagless. There are a lot of options to choose from, so first decide what your top priorities are in a new vacuum. Which? have a great post on how to choose the best vacuum which I would recommend reading. John Lewis also have a clear and quick guide to check out. Argos have some useful info to check out too. This vacuum has just been released and as of Sep 2018 there are no reviews on the GTech website. However, from personal experience of listening to what customers had to say about the new vacuum cleaner it was very positive. The hose has helped a lot. I can hold the vacuum in one hand and reach up to the corner of my ceilings with the hose and pole attached. It’s so light it’s no bother. – Debra, Cornwall. As I mentioned before, the bags for this new K9 model are slightly different and a little more expensive. You can purchase them here and they cost £12.99 for 10. 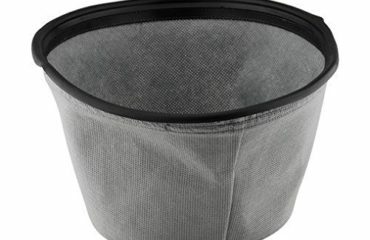 If you’re after the original GTech Pro bag replacements, they are £9.99 for 10. I’ve written another post where I compare all of the GTech Vacuums which are available in 2018. Check that out if you’re not sure which one is right for you. 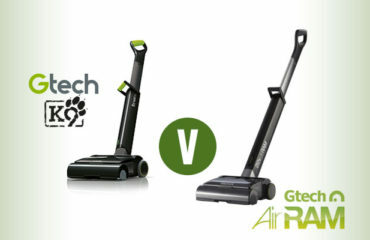 Which do you prefer the look of, the Dyson or the GTech Pro K9? A great little vacuum which will be suitable for most medium sized homes. If you like the sound of a more hygienic clean with the bag, this is a good choice. If not, I would recommend the Power Floor K9 which is very similar but without a bag. Note: The GTech Pro K9 is not available on Amazon just yet but it should be soon and I will update this post when it is available. Pro Tip: Be careful when buying from re-sellers on Amazon. These could be reconditioned machines or older models. A good upgraded edition to the standard GTech Pro vacuum cleaner. The upgraded components, extra long flexible hose and increased durability of this hand-held and upright vacuum are well worth the money.